When fellow gardener Maria is not showing off her magnificent sunflowers in the Memorial Garden, you will find her at home tending to her beautiful bonsai. 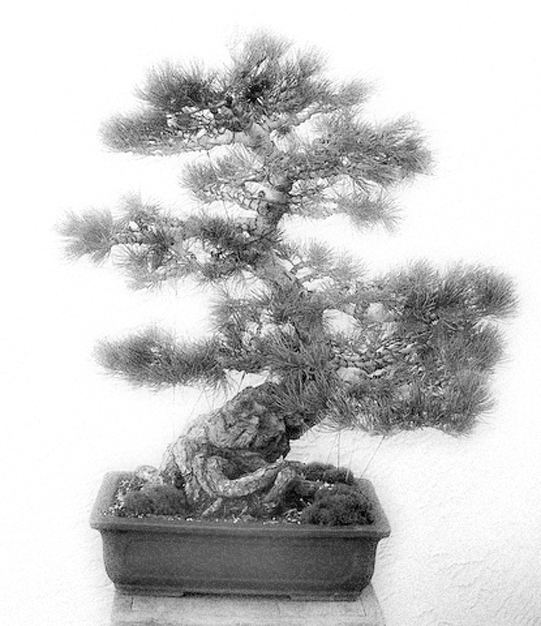 Bonsai is the art of shaping a plant to find the miniaturized tree within. Bonsai is a long-term commitment; a labor of love to create and care for. As a living thing, they are never truly “finished” – their true shape takes form and is reinforced over time. 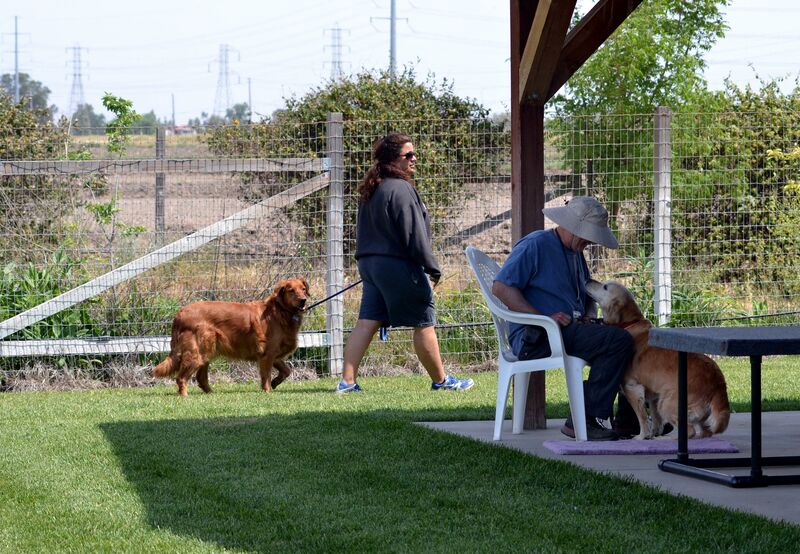 All around us at Homeward Bound, our trainers and volunteers are working to shape the behavior of the dogs to speed their turn for successful adoption. The behavior of a dog reactive to other dogs requires special attention. When dogs growl at other dogs it is often labeled as “aggression.” But behavior that looks like aggression can actually be fear-based and should be treated as such. While a reactive dog can react aggressively, this typically occurs in a situation where he feels that there is no escape. The key is to replace fear with focus. 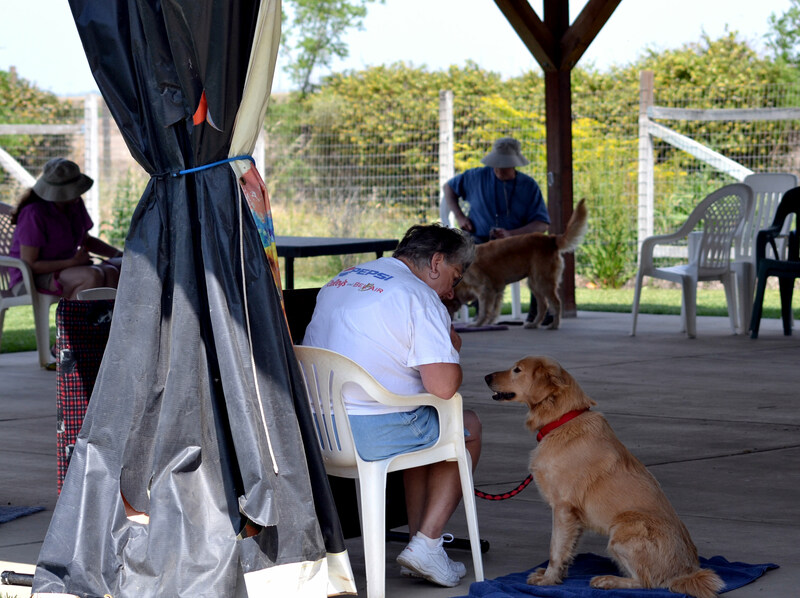 For most of the hundreds of dogs we help each year at Homeward Bound, their needs are obvious: medical care, leash training, basic commands, some socialization. But reactive dogs require much more. There is no cure for reactivity, per se, but a dog can gradually be desensitized to the stimuli by using a series of techniques and games to lessen the reaction. Equally important is helping their handlers to understand what triggers the behavior and train them to manage situations when they occur. 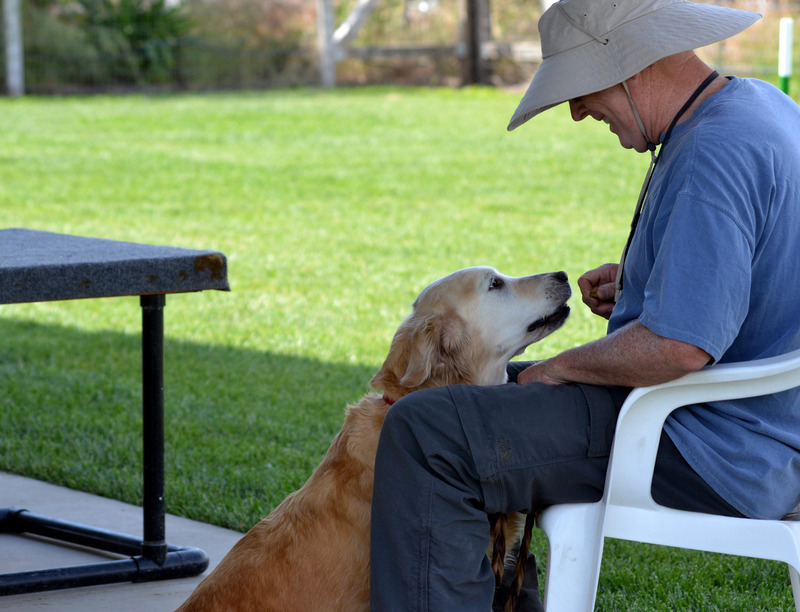 Homeward Bound’s Golden Rule Training includes special classes and training for reactive dogs – including dogs that are reactive to other dogs. 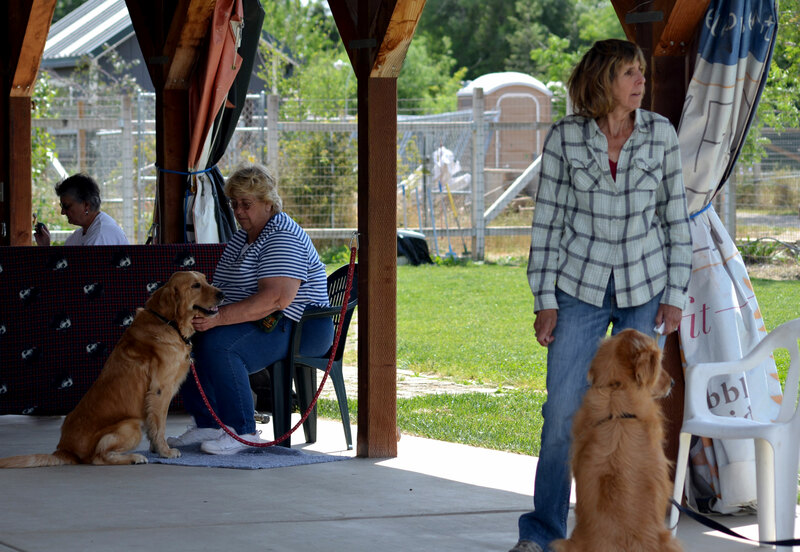 Class takes place in groups; this tells our trainers a lot about how reactive the dogs are. It also helps to desensitize the dogs so they gradually become more comfortable around other dogs. The aim is not to get them to like other dogs; simply to help react less in those situations. A “clicker” or vocalization (“Yes!”) is associated with something positive – usually a treat. 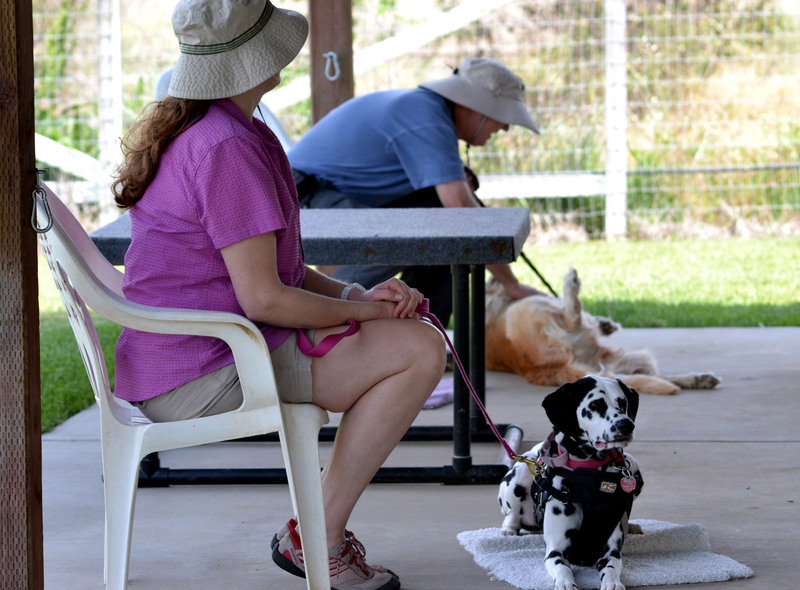 When the dog begins to demonstrate the behavior sought, the trainer clicks or praises immediately and treats. Sometimes the process has to be broken down into the tiniest advances; even a slight movement in the right direction is cause for celebration. Then the reward is withheld until the dog more closely approximates the desired behavior. This is called “shaping” – a learning theory concept. Timing is critical when rewarding the dog for his or her behavior. There are games that help as well: “Watch Me” teaches the dog to focus on the trainer. A treat is held at at eye level with a “Watch Me” command. Once the dog makes the connection and looks on command, the frequency of the treat reinforcement is reduced. Intermittent reinforcement is key to maintaining the behavior you want. “Look at That” is just what it sounds like. The dog is encouraged to look at another dog and then rewarded when they look back at the trainer. Shifting the dog’s focus from other dogs to the trainer is critical. As the class progresses and it is safe to do so, the proximity to other dogs is reduced further. Dogs are walked in a circle outside or inside the group. If either dog reacts, they are refocused and rewarded immediately. As with overcoming any fear, whatever frightens the dog is introduced from a distance which very gradually closes. Most importantly, the experience should be fun and bonding – not stressful. As with Maria’s bonsai – all of this effort takes time and patience. When we are successful, it helps the dog to live a more calm and confident life, and clears the way for a dog with special emotional needs to find the perfect home. Of course, we recommend that you seek professional training support if you have a dog that is reactive. The rewards are worth the effort. One of our trainers put together this fun video that demonstrates the amazing progress two of our reactive dogs made through consistent training. Great video! Hank and Scrubbs look wonderful! Two great dogs who have come a very long way!